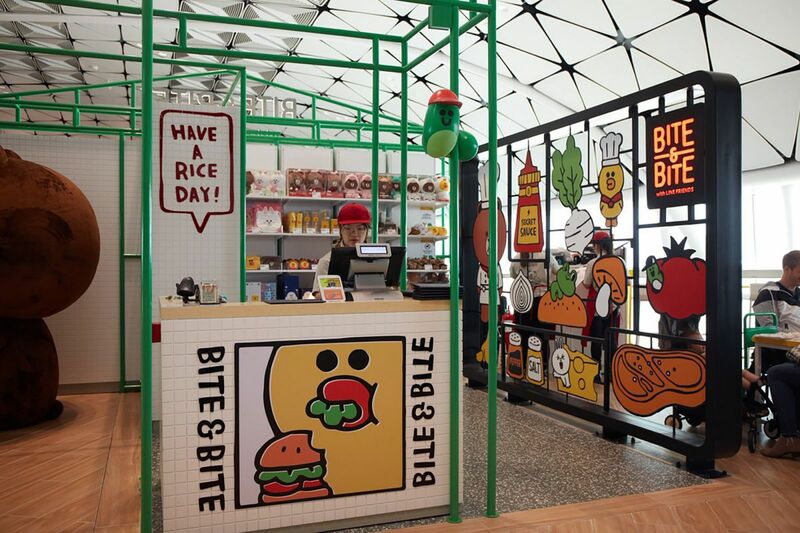 Riding the wave of a popular messaging app, Airport Authority Hong Kong is hoping its cute new restaurant at Hong Kong International will become a ‘must-visit’ attraction. 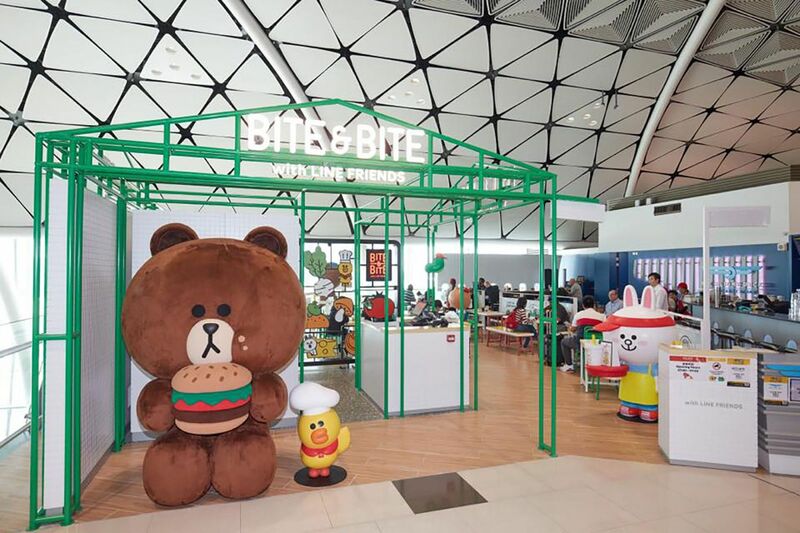 Food and beverage specialist SSP Hong Kong has partnered with Line Friends to open the airport world’s first Bite&Bite with Line Friends restaurant there, based on the hugely popular set of global character brands created for the app Line. The exclusive menu combines two distinct styles, Korean and western, to satisfy the varying tastes of the airport’s diverse customer mix. 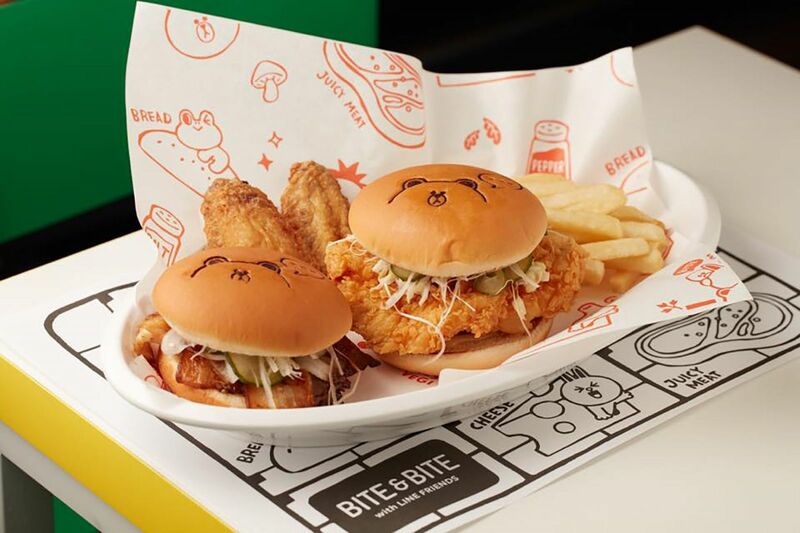 It provides a variety of delicacies including Brown & Cony pancakes, Bite, Rice Box and Wings & Fries, with ‘Line Friends’ characters infused into the offerings. 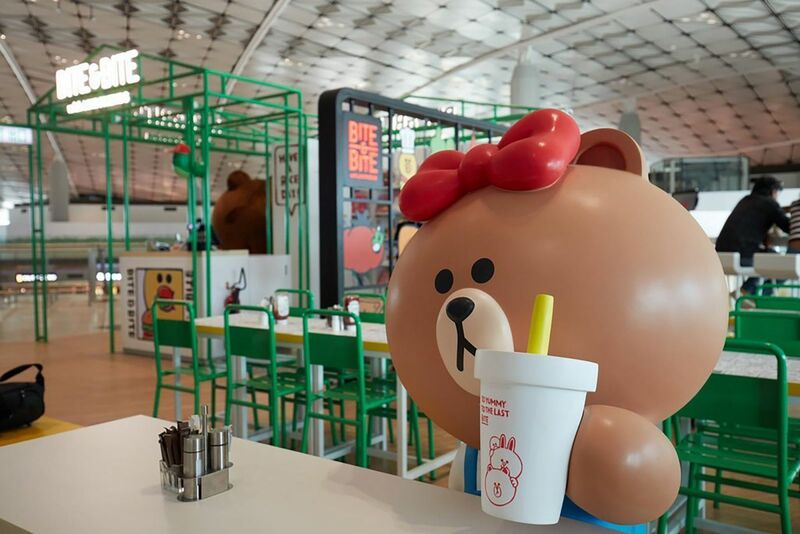 But it is the restaurant’s visuals and striking decorative use of the characters that makes it stand out. Eight Line Friends check-in points at the new restaurant feature a range of the most-loved characters: Brown looking into the tarmac; Sally with a chef’s hat; Choco preparing a toasting; Cony ready to serve everyone; Leonard pondering his order; Moon sharing the French fries; and Edward climbing to the top of the column. 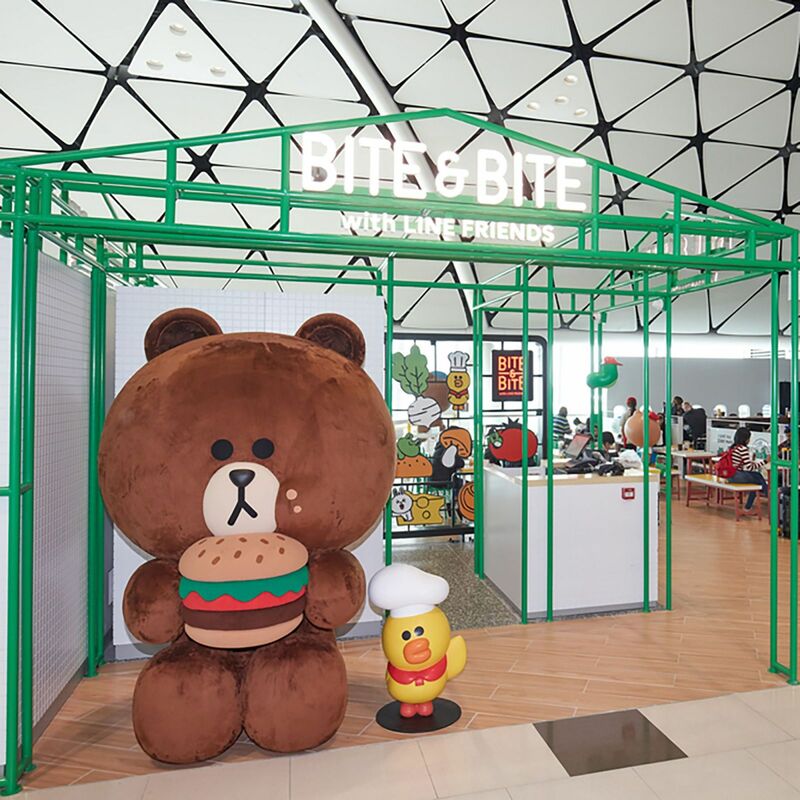 These animated installations feature throughout the restaurant space together with the world’s first-ever Mega Brown, shown tasting a burger. 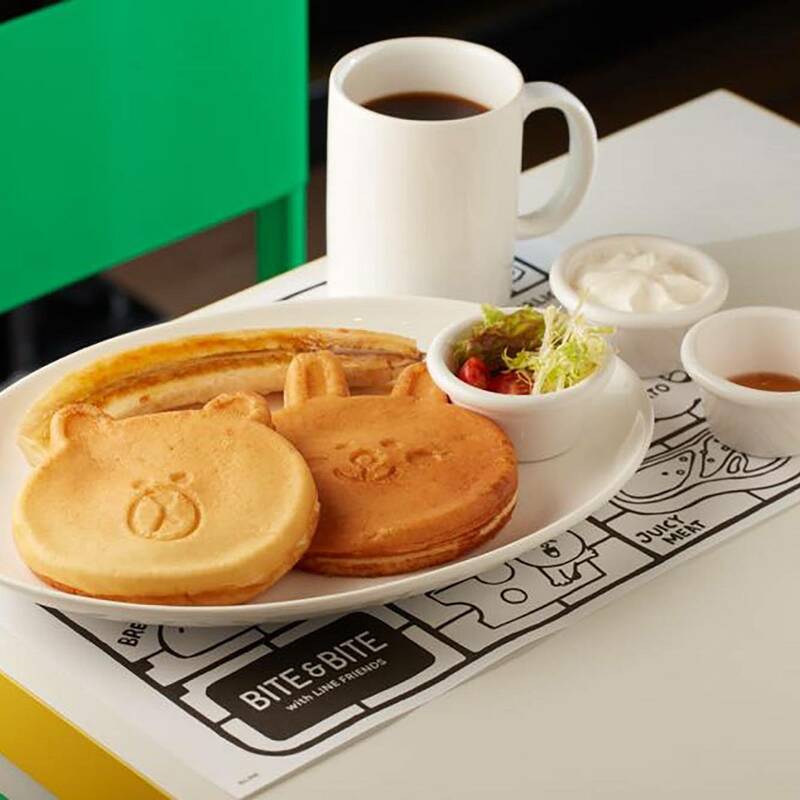 The outlet hopes to capitalise on that appeal with its merchandise offer, which includes travel and lifestyle items, stationery, plush dolls and other products.